As the percentage of adults who choose to marry continues to fall in New Jersey and the U.S., many people are instead choosing to enter into “marital style” relationships, while still remaining unmarried. Generally referred to as “cohabitation”, these types of relationships can have a variety of legal implications and, unfortunately, do not provide the same types of financial protections that a marriage would. These legal complications can include anything from alimony modification requests and child support modification requests when a person receiving alimony or child support is believed to be “cohabitating” with another adult, to things like cohabitation agreements, agreements which can confer many of the same authorities and protections a marriage would to the unmarried couple. Any time you are dealing with legal issues or concerns arising from cohabitation, it is highly recommended that you consult with an experienced family law attorney in order to gain a clearer understanding of your situation, options, and best next steps moving forward in order to protect your legal and financial future. At The Law Office of Del Sardo & Montanari, our attorneys have extensive experience handling all manner of cohabitation-related issues like alimony modifications, and the drafting, enforcing, and contesting of cohabitation agreements for clients in towns across New Jersey and Passaic County, including Wayne, Clifton, Little Falls, Woodland Park, and West Milford. Call our office to discuss your unique needs and concerns when it comes to any kind of cohabitation-related concern you may have in a free and confidential consultation with our attorney team today. When couples choose to remain unmarried but still participate in a marital-type relationship, they are sacrificing many of the financial and legal protections that a marriage offers. This is why many unmarried couples choose to create what is known as a “cohabitation agreement”, also called a “non-marital agreement”. As you can see, cohabitation agreements can be an extremely important tool to help unmarried couples solidify their legal and financial relationship to one another, while still remaining unmarried. If you would like to learn more about how a cohabitation agreement can be of benefit to you and your partner, and how to go about creating a comprehensive, fair, and legally binding non-marital agreement, call our office today to schedule your free and confidential consultation with our experienced Little Falls Cohabitation Agreement attorneys. Is My Passaic County Cohabitation Agreement Legal and Enforceable? When it comes to ensuring that your cohabitation agreement is legal and binding, or contesting the terms of a cohabitation agreement that has already been entered into, there are several key factors which determines the legality of any cohabitation agreement or non-marital agreement. Both parties must retain separate legal counsel, or explicitly waive their right to counsel in writing, when signing the cohabitation agreement. Any assets mentioned in the agreement must be accurately valued, and all information regarding their values must be fully disclosed. The agreement must be considered fair and reasonable for both parties. If any one party is overly advantaged, the agreement may not be considered legal and binding. Both parties must be given a reasonable amount of time to consider whether or not they truly wish to enter into the agreement before signing it. If any of these conditions were or are not met when the cohabitation agreement is signed, then the entirety of that agreement and the terms it contains can be contested in a court of law, and potentially invalidated. If you are considering entering into a cohabitation agreement, or are in need of either validating or contesting an existing cohabitation agreement, our attorneys can provide you with the knowledgeable, effective, and attentive legal service that you need and deserve when it comes to matter so important to you, and your partner’s, legal and financial futures. Cohabitation between adults can also play a key role when it comes to the modification of certain divorce agreements like alimony and, at times, child support. Specifically, if a divorced individual goes on to begin a “marital-style” relationship with another adult after their divorce, such a relationship, and the financial interdependence it implies, can open the door for alimony modifications and child support modifications. Of course, not every one of these factors needs to be true in order for a court to find that relationship constitutes a “cohabitative” relationship, and the extent to which each of these factors affects their ultimate decision is up to the discretion of the courts. This makes it even more important that you retain experienced legal counsel any time you are facing a spousal support modification or child support modification issue on the basis of cohabitation. An experienced attorney can help you to gather and present the evidence and arguments necessary to either proving, or disproving, that a marital-style relationship exists, and ultimately help you secure the resolution which makes the most sense in you and your family’s unique situation. At Del Sardo & Montanari, our family law attorneys have extensive experience helping clients to favorably resolve all manner of issues related to cohabitation, including creating, signing, validating, and contesting cohabitation agreements, as well as proving and disproving that cohabitation exists during alimony modification and child support modification hearings. 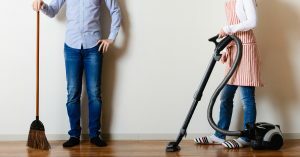 Having already helped many clients with their cohabitation related issues in towns across New Jersey and Passaic County, including Clifton, Wayne, Woodland Park, Little Falls, and West Milford, our firm is ready to put our knowledgeable, effective, and attentive legal service to work for you and your family today. To speak with our attorney team in a free and confidential consultation regarding your cohabitation agreement, alimony modification, or child support modification, please contact us online, or through our Woodland Park, NJ office at (973) 233-4396.